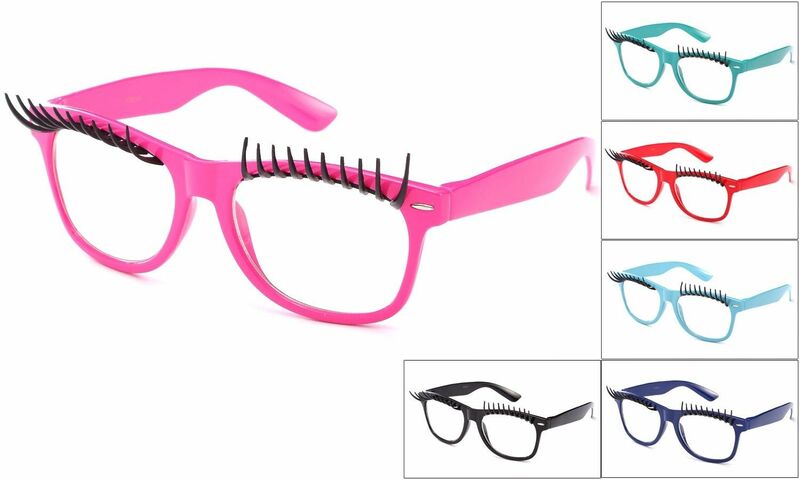 Glasses with Lashes to finish your look! Assorted colored frame glasses with lashes for a distinctly feminine look! Plastic frames, no lenses.